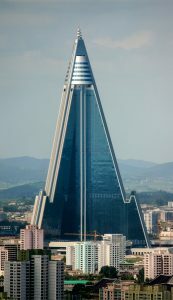 The Hotel Ryugyong is a hotel like no other. Located in Pyongyang, North Korea, the building has a prominent feature. It can be seen from afar due the towering height of 1,080 ft structure and is shaped like a pyramid, and is the tallest building in North Korea. Work was due to be complete by 1989. Had this been achieved, the hotel would have been the tallest hotel in the world at that time. The Hotel Ryugyong was surpassed in height in 2009, by the Rose Tower in Dubai. In total, there are 105 storeys, with the top eight intending to rotate. The building was originally intended to house five revolving restaurants and either 3,000 or 7,665 guest rooms, depending who you talk to. Built as a “mixed-use” development, the building was meant to house a hotel, apartments and business facilities. It was hoped that the building would attract foreign investors to the sum of $230 million. The hotel was scheduled to open in June 1989, but building methods and building materials delayed completion. Had the building opened on time, then it would have been the seventh tallest building in the world. In 1992, work again halted the project due to the economic crisis in North Korea. 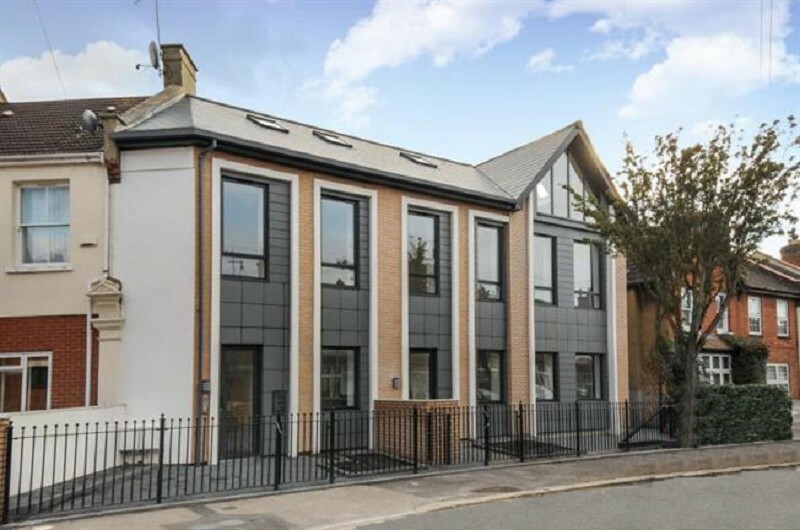 Japanese newspapers estimated the cost of construction a massive £750 million. In the late 1990’s, the European Union Chamber of Commerce in Korea concluded that the structure was irreparable, and questions were raised about the buildings concrete and the alignment of the lift shafts, which some sources claimed were “crooked”. In 2008, a Korean government official told the Los Angeles Times that Korea halted work on the project due to a lack of money. In April 2008, work again resumed. In March 2013, plans to open the hotel were suspended. In 2017 the building lies empty. There are no fixtures and fittings in the building and the only signs of life are the Korean conscripts working on the site.